SURREY, B.C. 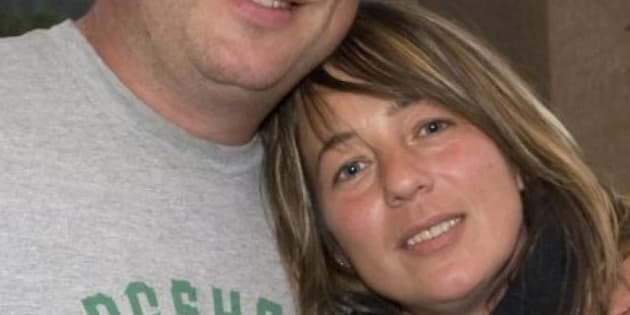 - Homicide investigators have arrested a fourth man in the targeted slayings of a Mission, B.C., couple in 2008, a case that led to a lawsuit and procedural changes in the way the RCMP investigates 911 calls. Thomas Robert Holden was charged Monday with two counts of first-degree murder. "It is believe that Tom Holden played a significant role and worked closely with the co-accused to plan and commit the murder of Lisa Dudley and Guthrie McKay," RCMP Insp. Kevin Hackett, the officer in charge of the Integrated Homicide Investigation Team, said in a statement. Dudley and McKay were shot in their home, and neighbours who heard gunshots called police. A Mountie sent to investigate did not get out of his cruiser so didn't see McKay dead and Dudley lying critically injured in the house, where she survived for several days before a neighbour found her although she died en route to hospital. Last week, 66-year-old Bruce Main was sentenced to eight years in prison for the killings. A second man, Jack Woodruff, is already serving a life term after admitting to the crime while a third man is still awaiting trial. Hackett said that despite the outstanding charge and two convictions, IHIT investigators continued to collect evidence on the murders. "Charge approval against one or more persons doesn't signal the end of our work," Hackett said. "However, we do not anticipate additional arrests or charges." After the shooting, RCMP policy was changed to require officers to speak directly to the person who makes a 911 call about shots being fired. Last month, a judge allowed Dudley's mother, Rosemarie Surakka, to sue the RCMP. She's alleging officers failed to properly investigate the shooting that led to her daughter's death, thereby violating her charter rights. Surakka's lawyer, Monique Pongracic-Speier, said it's the first case she's aware of in which a judge has allowed a charter lawsuit to go ahead after someone has died. "The law generally does recognize that a right without a remedy is futile,'' Pongracic-Speier said in an interview at the time. Surakka's lawsuit claims a neighbour called 911 to report that he and another resident heard six gunshots followed by what sounded like crashing and yelling. The neighbour also told the 911 operator where in the neighbourhood he believed the sound came from. But when RCMP officers responded in two separate cars, they drove around the area for a short time and left, without getting out of their vehicles to investigate the reported shooting or talk to the neighbours who called 911, the lawsuit says. Surakka filed her lawsuit in the fall of 2011, but the federal government sought to have the case thrown out. The government argued that because Dudley is dead, she no longer has any charter rights and no one can launch a charter challenge on her behalf. Surakka's lawyer argued lawsuits must be allowed in cases where a charter violation ends with someone's death in order to preserve and enforce the right to life. Judge Heather Holmes issued a ruling that concluded recent changes in how the charter is interpreted mean the case should be allowed to proceed. "In my view, the plaintiff's claim is precisely the type of novel but arguable claim that should survive a motion to strike,'' Holmes said in her written ruling. A spokeswoman for the Justice Department said last month that the government was reviewing the decision and had not yet decided whether to appeal.